The Music Player is for playing recordings in the background. 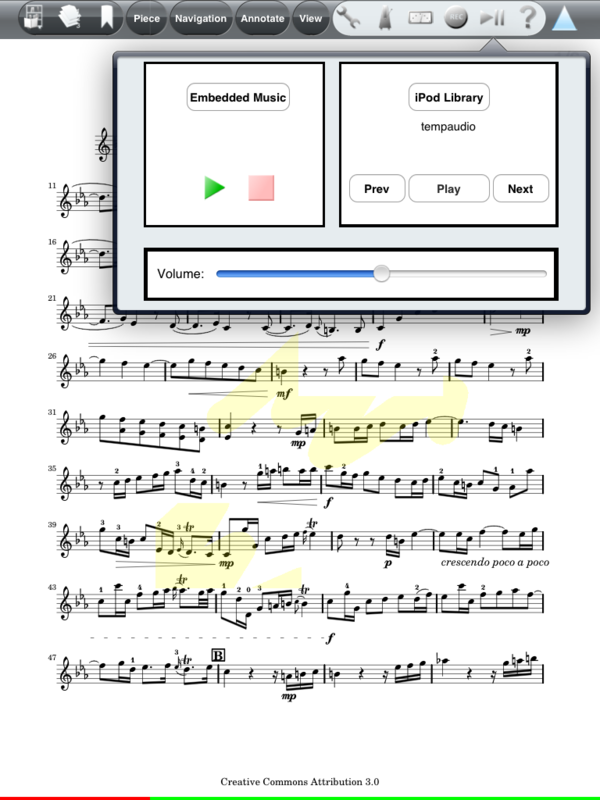 The Music Player can be used for background music, but of course also for learning how a musical piece should be played. Recordings embedded in the PDF file - you can embed them in MusicReader Win / Mac. Recordings in the iPod Library. 3. Select a file with the buttons on top. 5. The file will continue playing even when the panel is closed until the song is finished or stopped. 6. A slider can be used the change the audio volume. Posted by: Nick Leoné - Sun, Feb 20, 2011 at 6:04 PM This article has been viewed 3660 times.